Unfortunately Texas is prone to Hail and Wind Storms, and there are a lot of questions that accompany these storms. Where do I start? What is my next step? How does this all work? Let our professionals help walk you through, and make your life just a little bit easier while dealing with the aftermath! Above All Roofing offers FREE, NO-OBLIGATION inspections. If we find that your roof has been damaged by HAIL or WIND we can also help you with your insurance claim. Do not wait until you begin to see leaks on the interior of your home. Once you begin to see interior leaks, it can cause additional damages to your home that may not be covered by your insurance carrier. 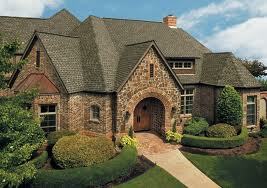 Now is the best time to have your roof inspected to make sure its integrity is still intact. Give us a call and we will set up a convenient time to take a look at your roof and answer any questions you may have.